HomeWorldWhat does the world’s largest single-building airport terminal look like? What does the world’s largest single-building airport terminal look like? The busiest airport in the world in terms of passenger numbers is in Atlanta, Georgia and no 2 is in Beijing, both with tens of millions more passengers every year than their nearest rivals. 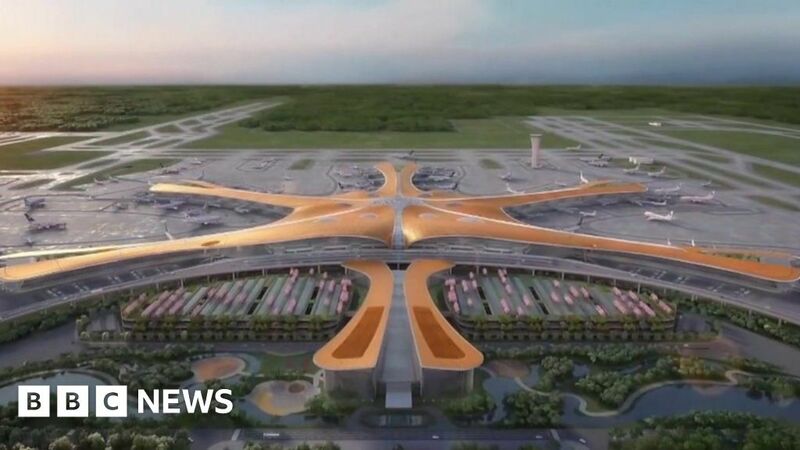 So it might come as a surprise to hear that a new airport, set to open later this year, with what officials claim is the world’s largest terminal housed in a single building, is also in the Chinese capital. This will give Beijing a breathtaking flight capacity, surpassing London’s six airports. Until now the impressive structure has been under wraps but China Correspondent Stephen McDonell went along to have a look.